Many people who are aware that chiropractic can relieve back pain and neck pain might be surprised to know that it's also effective for headache. In fact, every year millions of Americans find headache relief through the non-invasive, drugless techniques provided by chiropractors. The effectiveness of chiropractic care for headache has been confirmed in a large number of medical studies. Dr. Dahlager has helped thousands of headache patients find relief natural, lasting relief. Headaches that start at the base of the skull with pain extending to the neck, upper back, and sometimes above the eyes are referred to as cervicogenic headaches. Patients may also suffer from dizziness. These headaches originate with a dysfunction in the cervical spine (neck), and are common after whiplash or other car accident injuries. While the exact causes of migraine are still under investigation, scientists believe migraines are tied to brain chemistry, hormones, blood vessels, and nerves within the brain. It is primarily a neurological condition, meaning it is affected by the overall health of your nervous system. 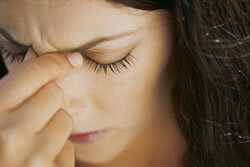 These headaches are the most common primary headaches experienced. A number of factors can cause chronic tension headaches including poor posture, muscle spasms, allergies, and stress. How Can Your Noblesville Chiropractor Relieve Headache? Dr. Dahlager will conduct a thorough examination to diagnose the source of your headache with neurological, physical, chiropractic, and orthopedic evaluations. If he believes your headache may be a sign of a tumor, brain injury, or other serious condition requiring immediate attention, he will refer you to an appropriate specialist in Noblesville, IN. If he suspects your headache is related to spinal dysfunction or tissue injury, he will create an individualized, chiropractic plan of care to help you. Chiropractic adjustments to correct spinal misalignments and ease pressure on any impinged spinal nerves in the neck which often lead to chronic headache. Targeted exercises to relieve muscular stress and tension which may be exacerbating your headache. 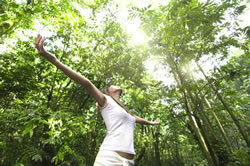 Studies show that exercise can be as effective as drugs for preventing migraine headache. Soft tissue therapies and massage to soothe muscle tension and promote healthy blood flow. Nutritional counseling to reduce systemic inflammation which may also be exacerbating your headache. How much longer will you let your headaches interfere with living a productive, healthy life? Call for your check up with Dr. Dahlager at Noblesville Family Chiropractic to discover how you can get relief from your headaches today. We provide chiropractic care to patients in Noblesville, IN; Westfield, IN; Fishers, IN; Carmel, IN; Arcadia, IN; Atlanta, IN; Cicero, IN; Sheridan, IN and surrounding areas in Hamilton County.